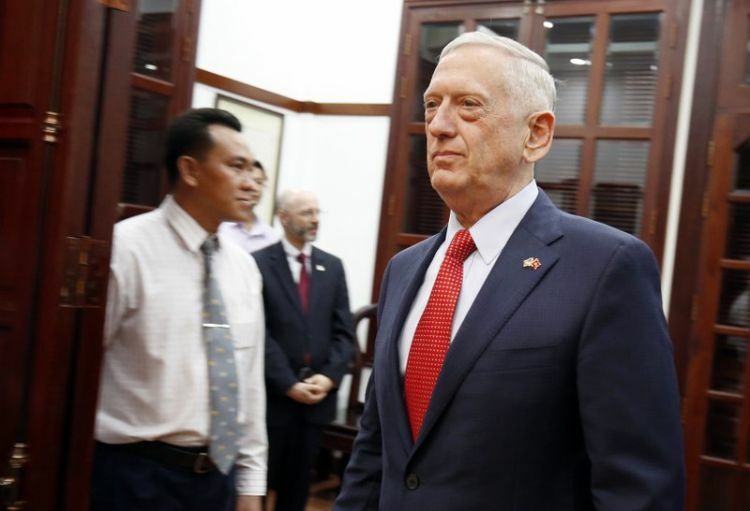 U.S. Defense Secretary Jim Mattis plans to meet on Thursday in Singapore with his Chinese counterpart just weeks after their talks planned for Beijing fell apart amid growing friction between the U.S. and China. Mattis and Chinese Defense Minister Wei Fenghe were in Singapore for a regional meeting of defense ministers. Mattis visited China in June, but since then a series of events have escalated tensions. The assistant secretary of defense for Asian and Pacific Security Affairs, Randall Schriver, told reporters the Chinese had requested the Singapore meeting. In late September, China told the Pentagon that Wei would be unavailable to meet Mattis in Beijing, so that visit was cancelled. Schriver said the U.S. sees signs that the military-to-military relationship may be on the upswing. Schriver said the trigger for recent tensions between the Pentagon and the Chinese military was the Trump administration’s decision in September to sanction the Chinese military for buying Russian fighter planes and missiles. That action was taken under the Countering America’s Adversaries Through Sanctions Act passed by Congress in 2017. China responded with strong criticism, followed in the military arena by a decision to cancel a planned visit to the Pentagon by the head of the Chinese navy and a confrontation in the South China Sea between a Chinese warship and a U.S. Navy destroyer, the USS Decatur. “That may turn out to be a relatively short bump in the road,” Schriver said, adding that Mattis is expected to convey to Wei U.S. interest in normal relations with the Chinese military. More broadly, relations between the U.S. and China have deteriorated in recent months as escalating trade disputes and tariff hikes have been exacerbated by a newly announced U.S. military equipment sale to Taiwan.